Thanks to the work of two of our interns, Richard Luedeman and Allister Chang, GLAD now has a Resource List for each of the six New England states. 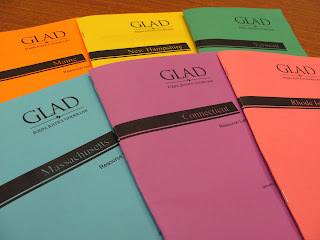 You can either access the list online (see individual links below) or we can mail you your state’s Resource List in printed form- just contact GLAD’s Legal InfoLine. Wherever possible we have included “umbrella” organizations that maintain lists of other local organizations that provide services in the area. For example, in some states there is a statewide HIV/AIDS organization that has a list of other local HIV/AIDS service providers. These “umbrella” organizations should have more up-to-date lists as changes occur. We hope that you find these useful. We welcome suggestions of other agencies to include and would appreciate receiving any corrections or updates that need to be made. Changes, suggestions and comments can be sent to us here. In addition to these Resource Lists, GLAD has a large number of publications on the various legal issues that affect the LGBT and HIV+ communities in the six New England states. Just contact the Legal InfoLine, and an experienced volunteer can guide you to the publication(s) that provide the information you need.